Hinky Dinky News Vol. 25, No. 7: August-1970 – Hinky Dinky Parlay Voo? 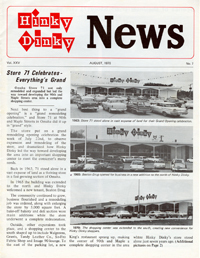 Here’s the August-1970 Hinky Dinky News. The pdf files are searchable, providing you’re using a relatively up to date version of Adobe Reader on your computer. Click the cover to view the pdf file.